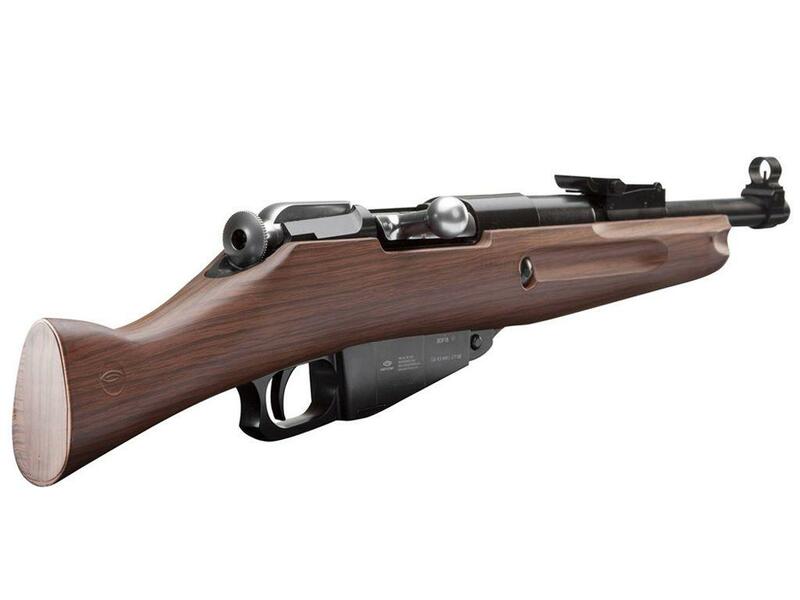 Gletcher 1891 Mosin Nagant BB Rifle | ReplicaAirguns.ca | Easter Weekend Sale! 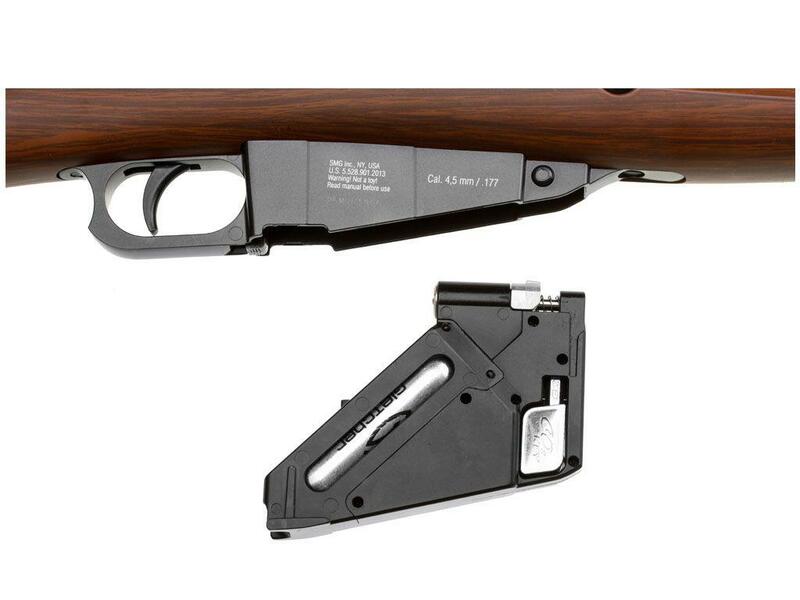 Trigger Pull: The trigger pull on the Gletcher M1891 is single action only, the bolt cycle does most of the work setting up the loading of a BB into the chamber and pre-cocking the bolt spring. The take up is minimal and the release is about medium to light weight. The bolt snaps forward firmly and with a nice clanking sound, you can even feel the weight of it as it moves forward. Accuracy: I did take the opportunity to do a quick pre-test with my Gletcher M1891. I shot several rounds through my chronograph and averaged around 430 FPS which is a bit higher than the claimed 394. I also shot a couple of magazines at a paper target standing 30 feet back using a semi rested position and was about to get a 1.75 inch 17 round group which is pretty good considering I found it kind of unusual to hold the Gletcher M1891 in this manner. The Gletcher M1891 does take some getting used to since you hold it like a rifle but do not rest it against your shoulder for stability. Build Quality: The Gletcher M1891 is really well made, you can tell by its robust weight and how solid the action feels when you draw the bolt back and release it the first time. 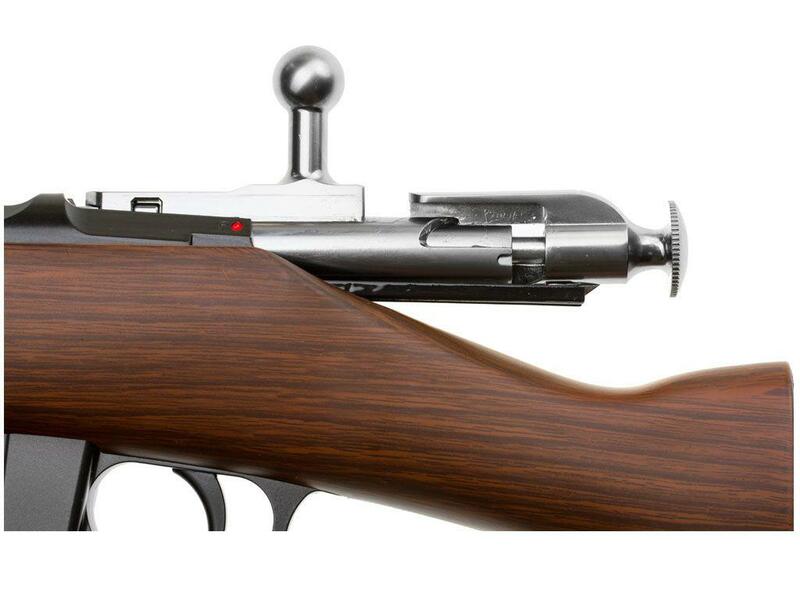 Everything that would be metal on the real Mosin Nagant is metal on the Gletcher M1891 including the full size dropout magazine that holds both the BBs and CO2. Yes the stock is imitation wood but in some ways it is harder than real wood and may actually hold up better. The finish looks great and I like the silver bolt, as with most electromagnetically coated finishes, the coating is not thick so it will wear off in the high spots fairly easily. Some touch up can solve this problem fairly easily. Realism: I've never actually put my hands on a real steel Mosin Nagant Rifle but from the photos I viewed online, the Gletcher M1891looks really accurate in terms of being a BB replica. 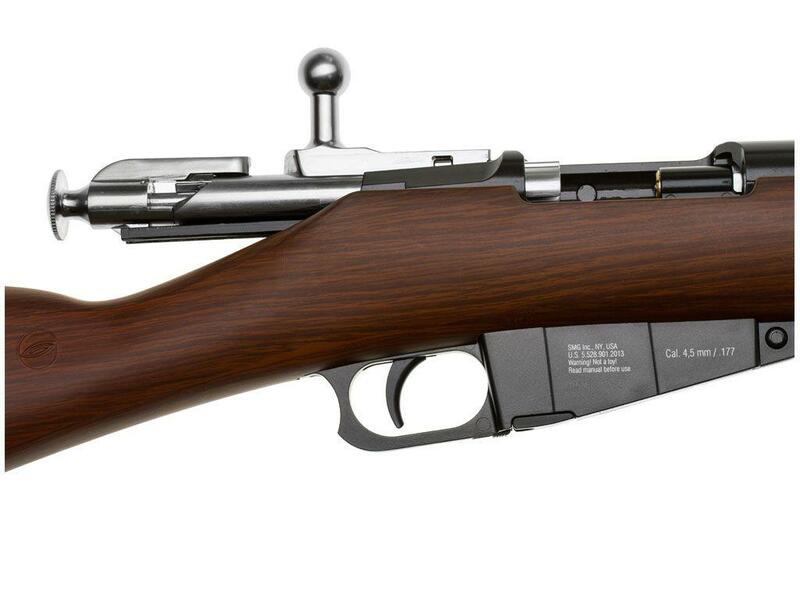 Of course the magazine has been adapted to fit CO2 and BB's but once placed in the gun it is nearly impossible to tell it from a real Mosin Nagant, or I should say a sawn off version of one. The weight of this rifle (5.7 pounds) gives it the feeling of genuineness. 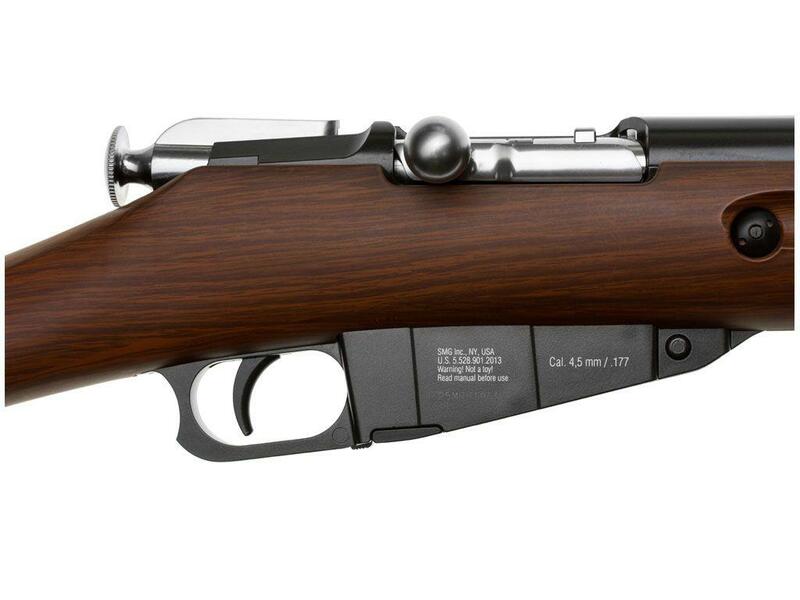 The only real giveaway is the imitation wood stock which looks pretty good considering. 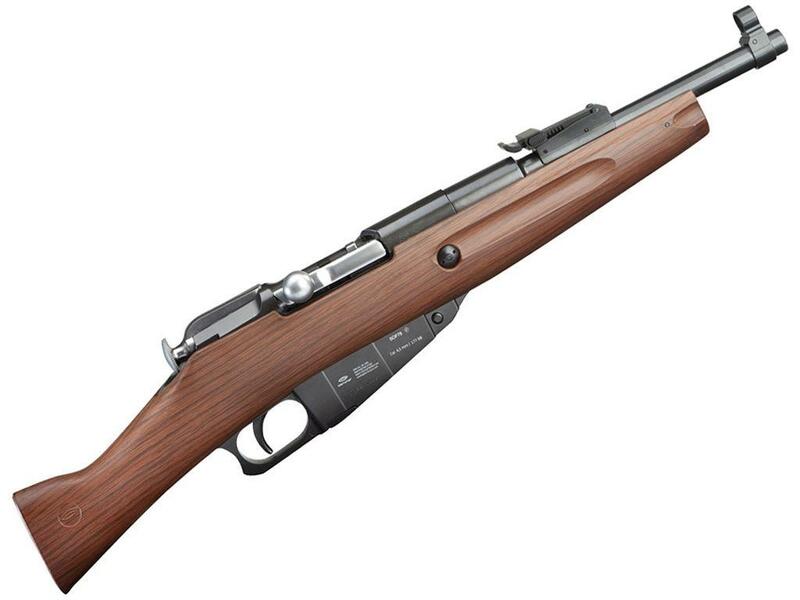 I have read online that a real Mosin Nagant stock can be adapted to fit the Gletcher M1891 so that would indicate that it is fairly true in size and construction to a real Mosin Nagant Rifle. Comments: The Gletcher M1891 is one of the most interesting BB guns I have had the opportunity to review, it has history, it's kind of a pistol and kind of a rifle at the same time and in this sawn off configuration it looks both old school and modern. I could almost see it being used as the perfect zombie gun ;) Getting away from its unique looks, the Gletcher M1891 performs very well, shooting a respectable 430 fps with accuracy that surprised me since I found it a bit hard to hold at first. There is something very gratifying about having to work a bot or lever or the hammer on a single action revolver that makes each shot just that much more precious! If you're looking for that ultimate eye catcher that people will have to take a second look at then this is the one for you. Overall I really like this gun. It took a bit to get used to the length, weight and the mostly non adjustable sights but it is just plain fun to shoot and the quality is really good; feels solid. I had some extended family like it so much they had me order 2 more. I can't wait for all 3 of us to get out shooting them at the same time. can't they do it in full length version of the 91-30 ? it can be cool to get a rifle cause a sawn-off is not super accurate and the range is low. can yo call the company for somme comment for a new model with the same macanism ? but prety cool sawn-off rifle the finish is very cool but the price is over than a real mosin-nagan its a little bit sad :( thanks to anwser ! 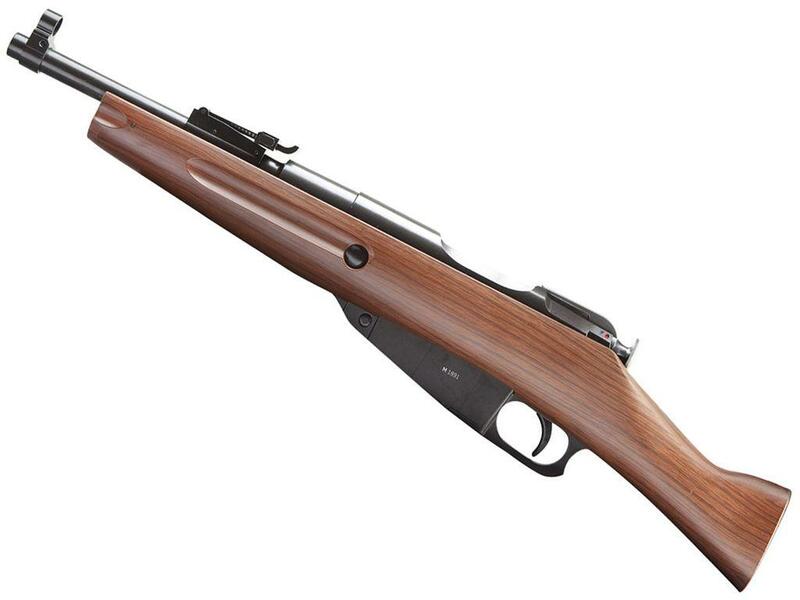 http://www.ReplicaAirguns.com - Gletcher M1891 Sawn Off Mosin Nagant Rifle CO2 4.5mm BB Gun Review. -Bolt - single shot - single action. -16 Round Full Size Drop Out Metal Magazine. This video is a walkthrough review of the Gletcher M1891 Sawn Off Mosin Nagant CO2 BB Rifle. 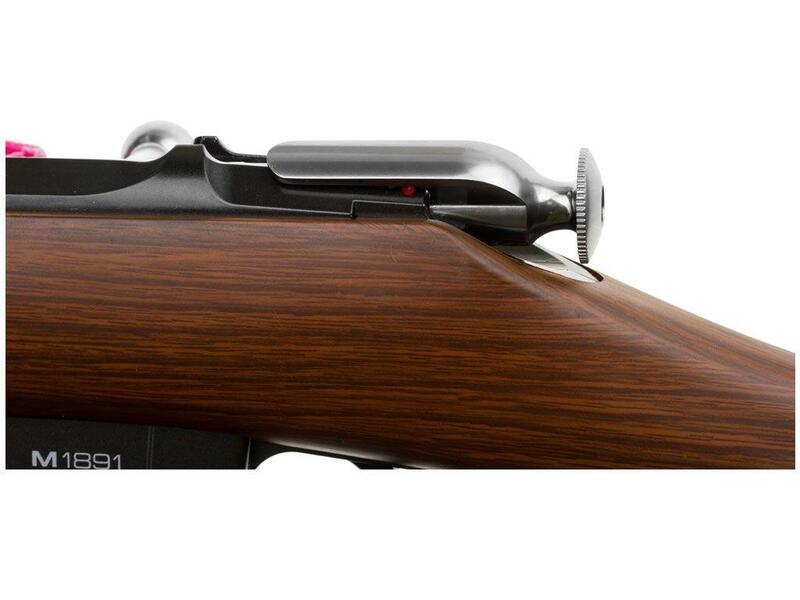 I show off this BB Replica close up from all angles and point out the mostly metal construction and go through the features and benefits of this very unique and historic replica BB rifle. I do perform a pre-test where I shoot some rounds through my Chronograph and also take aim at a paper target from 30 feet back to see how accurate the Gletcher M1891 is. The Gletcher M1891 is one of the most interesting BB guns I have had the opportunity to review, it has history, it's kind of a pistol and kind of a rifle at the same time and in this sawn off configuration it looks both old school and modern. I could almost see it being used as the perfect zombi gun ;) Getting away from it's unique looks, the Gletcher M1891 performs very well, shooting a respectable 430 fps with accuracy that surprised me since I found it a bit hard to hold at first. There is something very gratifying about having to work a bot or lever or the hammer on a single action revolver that makes each shot just that much more precious! If you're looking for that ultimate eye catcher that people will have to take a second look at than this is the one for you. 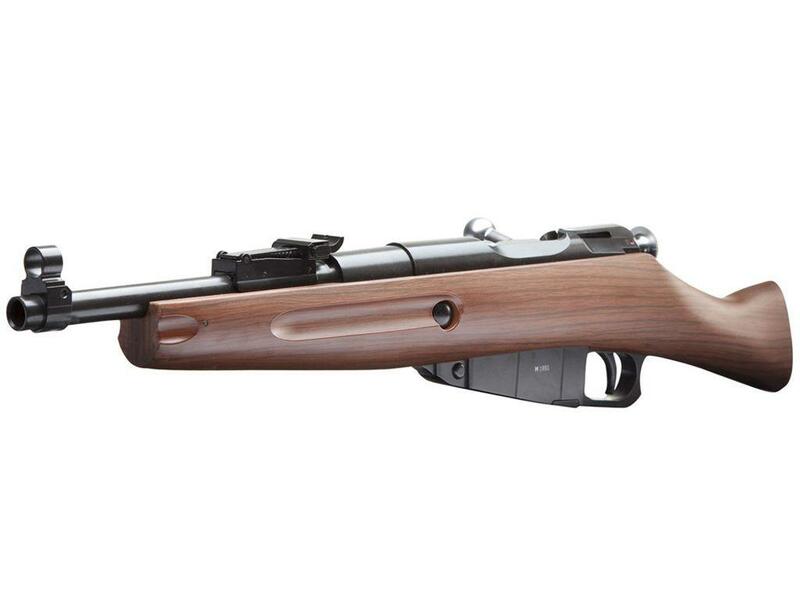 http://www.ReplicaAirguns.com - Gletcher M1891 Sawn Off Mosin Nagant Rifle CO2 BB Gun Sea Can Shooting Review.